On April 14th, Game of Thrones returns to HBO for its eighth and final season. It’s said to be one of the most anticipated in the history of television. In preparation for GOT’s return, I recently re-watched the entire series. There are many great houses we get introduced to throughout GOT – Stark, Lannister, Tyrell, Greyjoy, Baratheon, Martell. While many alliances between these houses are forged and broken over the series, one thing remains constant: each family puts its own household first, no matter what (well, except maybe Tyrion). Indeed, nearly every war depicted in the seven kingdoms can be traced back to some family matter. When it comes to benefits, employees want to meet the needs of their families (See how I did that?). We all know the costs to include families in the medical plan are a burden – for employers and employees. As an advisor, you can recommend additional solutions alongside the health plan that provide access to care and alleviate out of pocket costs for the entire family. This is a powerful strategy that adds value as more and more employees elect individual-only medical benefits. Many of the more powerful characters through the GOT narrative have risen to power because they cultivated and maintained access to critical information. Both Varys and Littlefinger rose to the seat of the Small Council despite their lack of family prominence by being able to build a network of informants that kept them apprised of key developments throughout the seven kingdoms. 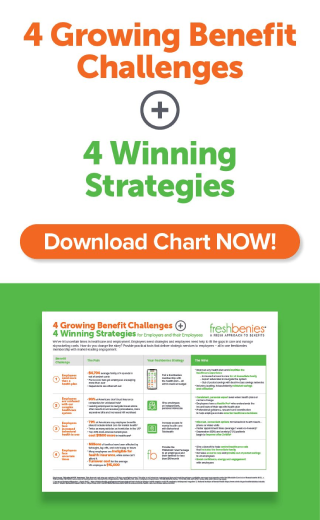 How do you leverage information to gauge success of the benefit plans you sell to your groups? In today’s consumer-driven health care system, utilization data is an important piece of the puzzle. Utilization reflects the group’s satisfaction, improves their ROI, and increases retention year after year. These results all strengthen loyalty and reflect on you as the trusted consultant. What kind of reports are in place to support you and the employer? Can you monitor utilization throughout the year? 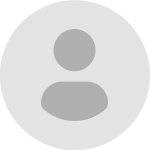 Is there an expert available to help employers foster usage? What turnkey communications are in place to drive awareness? Another recurring theme throughout GOT is power. Power is manifested in a variety of different ways – strength, intelligence, knowledge, alliance, title – but underlying them all is the struggle to understand how each will impact the balance of power. Each of the show’s main characters wields power in slightly different ways – Deanarys with her dragons, Cersei with her ruthlessness, Jon with his leadership, Tyrion with his brain – but they all speak to the importance of playing to one’s respective strengths to gain a power advantage. In an industry where clients are paying more for less, a benefits package that offers increased access and control is a huge win. Coincidentally (or not! ), last summer, freshbenies rolled out a robust bundle of services called the Power Package. 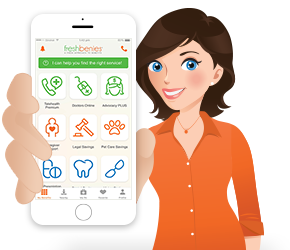 Personal Health Pros – the big differentiator here is the depth of hiring/training each Health Pro undergoes before they even get assigned their first group. Smart recommendation engine – this speaks to Compass’ unique ability to take national provider/claims data and then layer on their own outreach to get a much more accurate portrait of healthcare providers/networks. In-the-moment benefit guidance - Compass’s best-in-class hiring and training, coupled with their amazing technology, provide fast response times and results. Building powerful alliances, gives power to your clients and makes you look powerful. That’s a lot of power! One of most amazing things about Game of Thrones is that the most important battle is not for the iron throne. With the Night King and his white walkers on the move, the entire fate of the seven kingdoms will hinge in the balance of the forthcoming war between the living and the dead. From the opening minutes of the series premiere, this storyline has permeated the show throughout its run. If the season previews are any indication, it will be the main focal point in this final season. The show has frequently hinted that the long night is coming, but it finally appears to be here. Our industry has undergone seismic changes in the past decade. Rising healthcare costs continue to plague our nation and we must continue to innovate tools and solutions that help people control their healthcare dime, time and peace of mind. 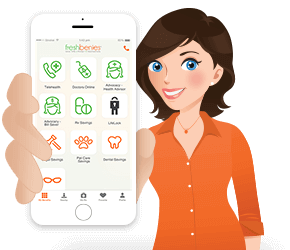 Brokers, employers and individuals that recognize the value of consumerism tools such as freshbenies have a much better chance of bending the cost curve. 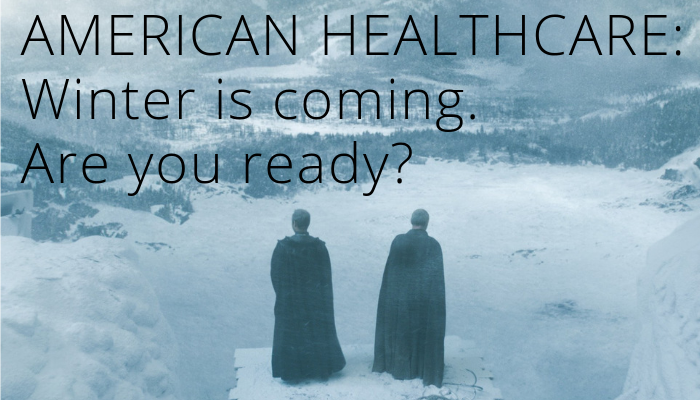 No matter how you are touched by healthcare, winter is coming for all of us. It’s up to us to not just survive, but to win the game. Now it’s your turn. What other parallels do you see between Game of Thrones and our industry? Comment below to tell me your story or email me at neil@freshbenies.com.